A simple way to collect user feedback for your website to help you discover what your users want. If you have been looking for a simple way to gather user feedback and have found the existing solutions cumbersome or expensive, you can gather user feedback with Userjoy and start fixing the issues your users care about. Make your feedback center your own with a custom logo and url. Users can vote on issues to show the importance of an issue. 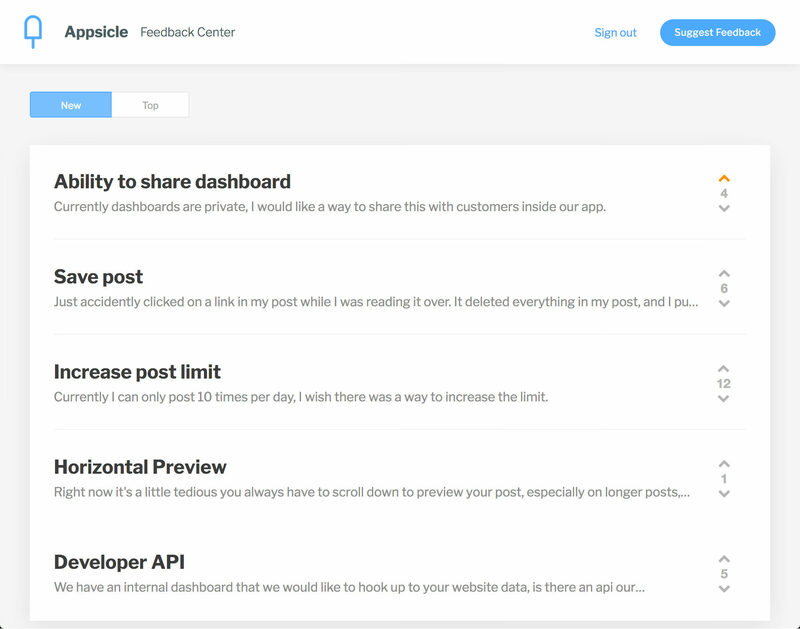 Respond to feature requests and interact with your users with commenting. Embed a feedback modal in your own website/app. 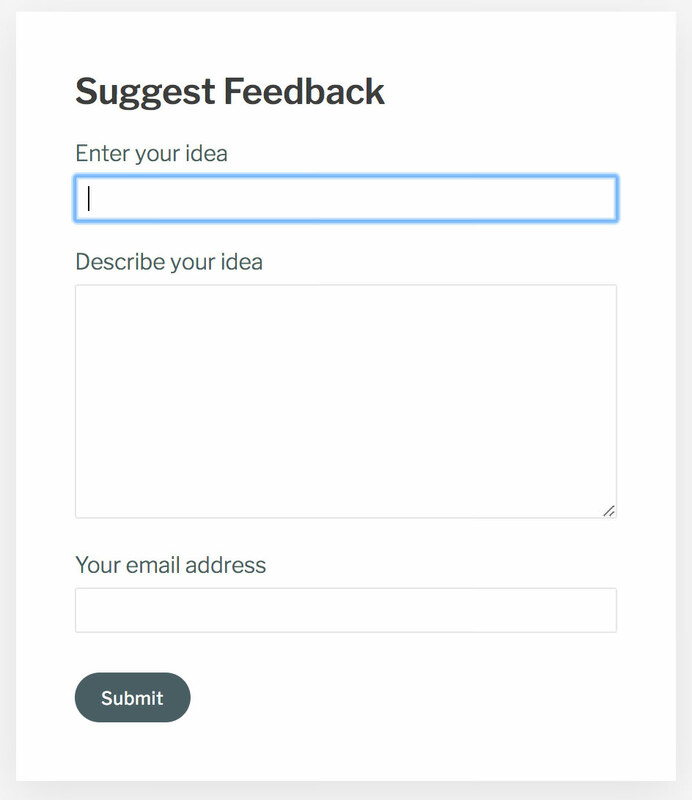 Sign up to create your own feedback center.